Thank you for your gift supporting Texas Computer Science summer camps! It is because of the ongoing financial support from alumni and friends like you that Texas CS is leading the way in bringing computer science education to all bright students, regardless of race, gender, or socioeconomic status. Why are Texas CS summer camps important? Texas Computer Science is the largest top-10 computer science program in the country, making us uniquely positioned to tackle head-on the demand to increase diversity in tech. 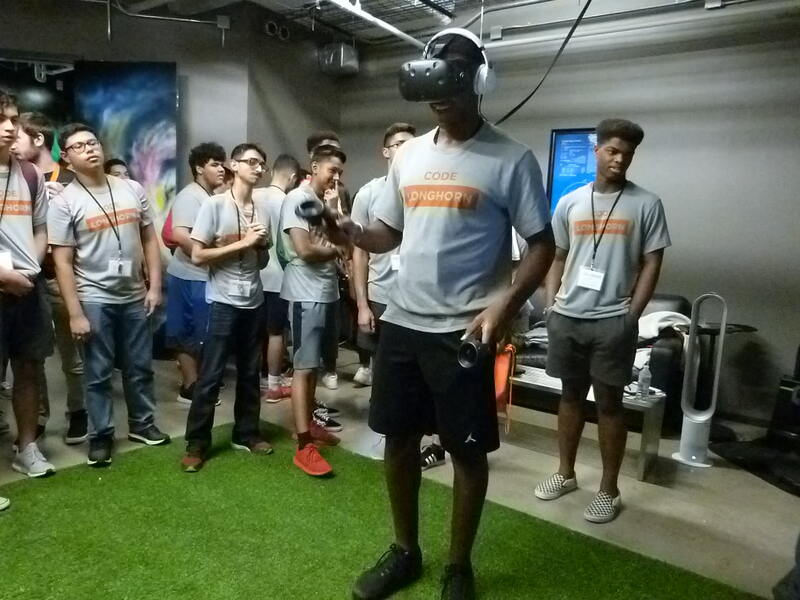 The most successful programs we have to address diversity are our two flagship summer camps - Code Longhorn and First Bytes. These camps are free one-week in-residence camps that are designed to dispel myths about computer science and intrigue students with the potential of computing and the excitement of problem solving. In 2019 we will host two First Bytes Camps and one Code Longhorn Camp, serving 180 students total. But we want to do more and we need your help to grow our capacity to serve more deserving students! Your gift will provide resources to help us better serve and take on more campers interested in computer science. Resources, like computers and hardware, are used to give students and hands-on approach to learning how to code. Financial support will also help make sure we get rid of barriers preventing students from having to access to a computer science education by keeping the camp free of cost for every camper. 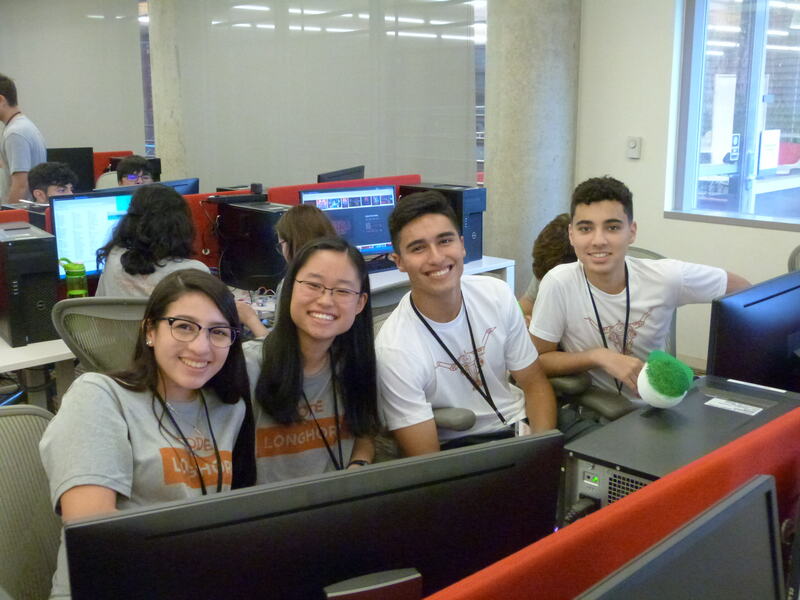 First Bytes is a summer camp designed specifically for young women interested in computer science and Code Longhorn is a summer camp specifically for underrepresented populations in computer science. In its 14 years, First Bytes has proven to be a significant pipeline of women into UTCS. 24% of our 2014 incoming freshmen class was women, much higher than the national average, and 25% of these women attended First Bytes. Both camps show campers how to use coding to solve real-world problems in areas like medicine, arts and more. On top of the hands-on coding activities, the campers have a unique opportunity to visit the computer sciences labs, work with world class faculty and researchers, and get a taste of what it's like to be in college. While this is notable, we believe we can do better. For individual students, the benefits of a computer science degree are manifest. Starting salaries for computer science graduates are 20% higher than the average college graduate, and this gap is continuing to widen. Yet, women and other underrepresented populations still account for less than one fifth of students pursuing computer science . We want to make these incredible opportunities equally accessible to all students, regardless of gender, ethnicity, or socioeconomic status. What is a pledge? A pledge is a promise to pay a specific amount over a set period of time and is a great way to ensure that this program has funding in the future. Pledges for the Texas CS Summer Camps can be made over a 5-year window. For example, if you make a $2,000 pledge today with an initial payment of $400, you can pay off the pledge by making a $400 gift each December for the next four years. We will send you a reminder each December. If you would like to make a pledge, click here. Can I utilize my company match? YES! Many employers sponsor matching gift programs (Apple, Google, Microsoft, etc.) and will match any charitable contributions made by employees. To find out if your company has a matching gift program, please click here. Tip: You will need to request the matching gift from your employer.